The City of Milledgeville realizes the importance of preservation based revitalization. The Milledgeville Historic District is on the National Register of Historic Places. 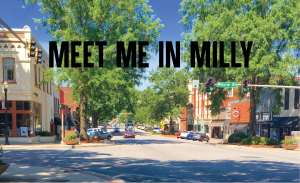 Milledgeville has a historic preservation program that meets the federal and state guidelines making it a Certified Local Government. There is a Historic Preservation Commission in place that reviews the Historic Preservation Design Guidelines when reviewing any requested changes to the district. The Commission is active, meeting once a month to review any applications to either deny or approve incoming Certificates of Appropriateness. The Main Street Program has used the Georgia Department of Community Affairs Design Assistance in several cases to provide building owners with a historically accurate design idea before renovations.